Inspired by the clean functionality of Scandinavian design, our brushes are hand-tied so only the kindest part of the hair touches your delicate skin. A hand-tied goat hair brush for Amazing Base or PurePressed Base, PurePressed Blush, bronzer and shimmer powders. 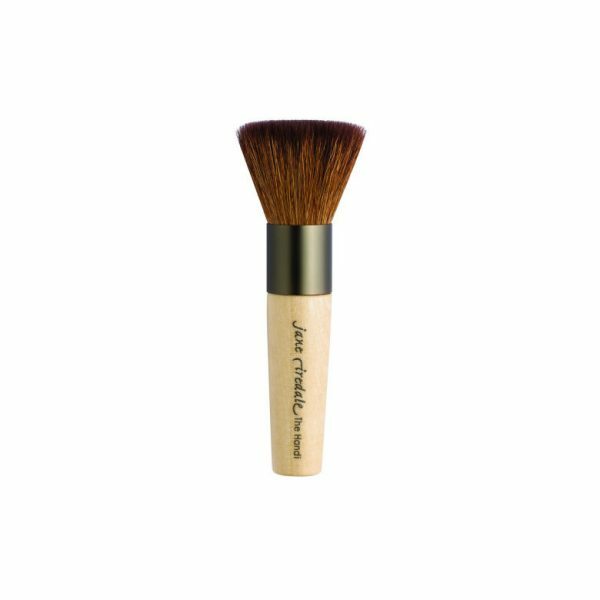 Jane Iredale Handi Brush – Inspired by the clean functionality of Scandinavian design, our brushes are hand-tied so only the kindest part of the hair touches your delicate skin.